STREATOR, ILL. (July 22, 2014) — Vactor Manufacturing, the industry leader in sewer and catch basin cleaners, industrial vacuum loaders and vacuum excavators featuring innovative technology and custom configurable designs, today announced the expansion and improvements of the company’s primary manufacturing facility. 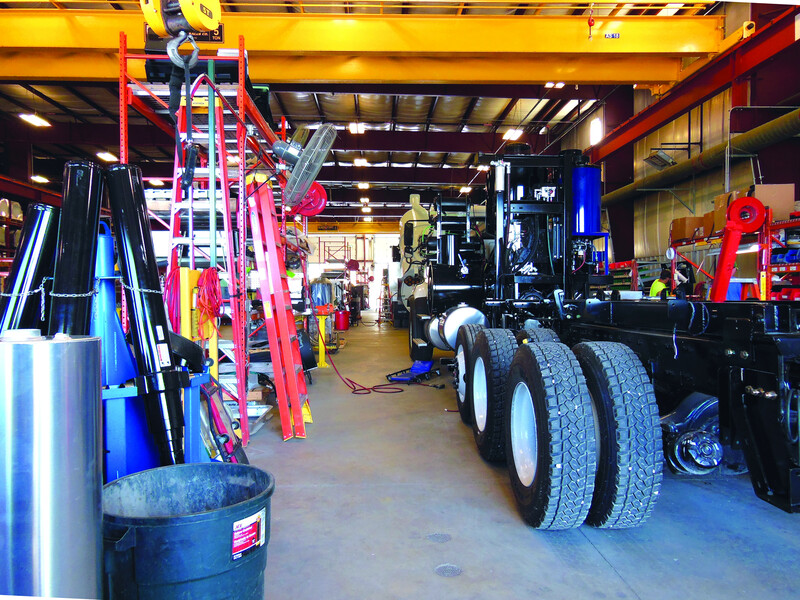 Staffed by more than 500 employees, the newly enlarged facility covers 245,000 square feet and sits on 21 acres of land in Streator, located about 80 miles southwest of Chicago. These advancements increase efficiency and capacity to supply the growing demand for Vactor’s products and represent a significant investment of approximately $3.5 million for capital improvements. A key objective of this investment is to meet the strongly growing demand for Vactor products. A new assembly line with three new overhead cranes and point-of-use subassembly departments has been added for the Vactor HXX HydroExcavator, which serves one of the company’s fastest growing markets. To further improve the paint process across all product lines, the company also recently installed a new powder coat line, a new plural paint system, a new dry-down booth and a new dust collection system, which prevents dust from invading other areas of the paint department. Vactor shares the facility with Guzzler Manufacturing, the world’s leader in industrial vacuum loaders that efficiently clean up industrial waste or recover and recycle valuable raw materials. Part of Federal Signal Corporation’s Environmental Solutions Group, the Vactor and Guzzler product lines share technology, manufacturing efficiencies and new product development. In addition to the new assembly line for the Vactor HXX HydroExcavators, Guzzler has gained dedicated assembly bays at the facility. For more than 100 years, Vactor Manufacturing has provided customers around the world with a wide range of material handling equipment. Today, Vactor Manufacturing is the industry leader in vacuum excavators, sewer and catch basin cleaners and industrial vacuum loaders featuring innovative technology and custom configurable designs. With one of the largest and most developed distributor networks in the industry, Vactor Manufacturing has more than 50 North American distributors in more than 100 locations to serve the municipal market, as well as six factory direct locations through FS Solutions for industrial customers. For more information on Vactor Manufacturing, please visit www.vactor.com.